Dropbox Dropping AWS: What Gives? Here we go again. Towards the end of 2017, we saw another company announcing leaving AWS as Dropbox has officially packed up their hundreds of petabytes of data in favor of rolling out their own custom infrastructure. The story of why a highly successful, high value “born in the cloud” company left AWS after eight years is as interesting as the significant technical achievement behind it all. It’s ironic that when Dropbox needed more, the AWS public cloud just wasn’t enough. Dropbox’s business needs might be familiar to many in the technology business as they identified technology goals such as reducing costs, increasing speed, gaining more control, and a better experience for its users. The fact that as much as 75 percent of the company’s users are outside the United States presented a need to institute a shift in technology. They have responded by progressively taking their services as close to “the edge” as possible. The AWS public cloud could simply not provide the control or affordability to scale the way the company needed. 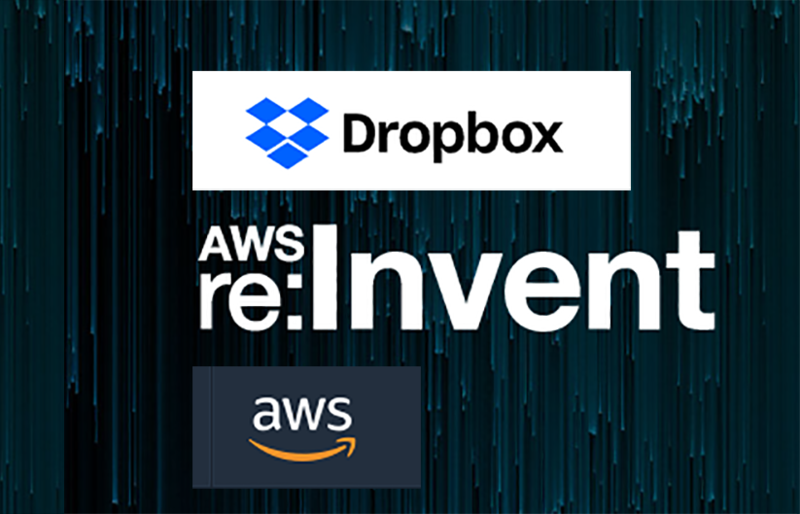 It is hard to reconcile this story with the massive traction that we saw at AWS re:INVENT, the Amazon Web Services annual conference with a record-breaking attendance of nearly 50,000 people, showing the tremendous interest in all the advantages that the AWS cloud has to offer. So, is this Dropbox move a flash in the pan or a sign of a different trend? AWS Exodus or Multi-Cloud Influx? We’re not all in the Dropbox line of business, but there are lessons in this departure that apply to many others. For example, in recent months, other companies have also signaled a shift away from AWS for similar reasons. For every one of these companies moving away, there are dozens that are also going into public cloud. In 2016, Spotify announced it would pack and leave for Google’s cloud; Target recently announced that it would pull in its infrastructure (again); Apple has reined in at least part of its vast services infrastructure from AWS; and even the mega-retailer Wal-Mart is in the midst of a death match with AWS, attempting to push its partners to depart AWS. It is interesting that for companies of this size with all their capital resources, AWS isn’t meeting their needs; in other cases, AWS service itself is adding up expenses far too fast. The cost of platform-locked specialized engineering – Vendor lock-in can be found in the platform and the engineering required to use AWS. There is a high degree of proprietary knowledge that comes with AWS territory. Developers, architects and even webmasters must know this platform from the ground-up. They can even get certified in as many as six AWS-only specialties. AWS can become a complete and ever-lasting buy-in. Limited control – If you have specialized needs such as getting your compute to the edge, increased flexibility, exact server specifications, auditing or visibility to the root access on a system, you can pretty much forget about it from a practical sense. This is a shared cloud and those are things that the public will never get. Point of failure – CIOs and business don’t exactly enjoy having to explain outages to frustrated users. That was exactly what happened when a major-scale AWS total loss of services affected customers in February 2017. The lesson learned is this: Just because it’s built in a cloud doesn’t mean it is automatically resilient under any realistic definition. The minimal risk play here is that applications and infrastructure must be architected throughout multiple regions. All of that comes at a cost of course, making simplicity in architecture and application all the more important. Unexpected costs – Many find that the cloud expenses they plan on aren’t the expenses they wind up with. The costs of traffic, storage and other features add up quickly. Public cloud services can be a geometrically expanding expense – the more you put in and the higher the adoption, the more unpleasantly surprising that utilization bill is. It is ironic that the marketing notion of “only paying for what you use” monthly pay structures and the promise of no-contracts can become an expensive proposition that can be very difficult to get out of. These flaws are not fatal in any way; AWS is growing at astronomical rates. But the answer is clearly in managing AWS and public clouds correctly and architecting them, along with other tools, the right way. We can see that the new world coming upon us is a hybrid, multi-cloud world where multiple IT infrastructures will coexist. Certainly AWS, Azure and Google Cloud will continue to dominate the landscape for a long time, however, we are seeing the advent of multi-cloud architectures whereby these platforms are viewed as tools in the tool box, and not a single destination. It is not uncommon that many successful and smart companies get to a stage where they find it advantageous to move from AWS towards another solution, or mix AWS with other solutions. It is not always an either-or choice. The AWS value re-evaluation point is inevitable in case after case, as is the re-evaluation of any IT infrastructure. This is exactly what we’re seeing in the realization that the canned confines of a single public cloud are not the optimal platform for these needs. So, what is the answer? Leave AWS and hyperscale cloud all together? Is it running your own infrastructure? Do we go back to the old ways of doing things? No, not really. Not everyone can build their own global cloud environment like Dropbox has. And certainly, there’s no going back to the old days. Current and next-gen businesses do have an alternative and it is very early in the game. You may find it surprising that the overwhelming majority of enterprise workloads remain off of the cloud. The reason behind this is that after all this time, a single public cloud hasn’t delivered all that a business needs from legacy workload management, to ease of use, to cost effectiveness. That changes with managed multi-clouds and hybrid clouds. Only a managed hybrid cloud can retain the benefits of public clouds in combination with the benefits of bare metal resources. Hybrid allows organizations to leverage dedicated infrastructure with multi-cloud hyperscale cloud capabilities seamlessly. Organizations have also discovered they can gain even more advantages and portability by using container formats like Kubernetes, Docker, Microservices and a variety of cross-cloud management tools. As we look ahead to the next generation of applications and enhanced capabilities of popular information systems, artificial intelligence and big data are a big part of our future. The AWS cloud by itself is simply a non-starter to address alone all the needs. Managed hybrid cloud solutions are here, now to help with the transition to the public cloud. It is becoming the de facto pathway as evidenced by the huge MSP ecosystem created around AWS and Azure. If you are considering a cloud solution, and you require consistent costs and the ultimate in capabilities, a managed multi-cloud solution could be the answer.